World Expeditions of San Diego was founded in 1997. 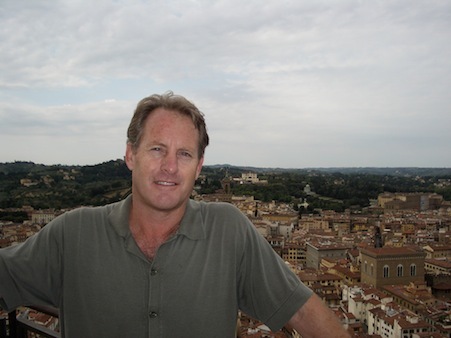 Steve Ewalt is the owner and President of World Expeditions, Inc. a California Corporation doing business as World Expeditions of San Diego. Steve has been working full-time in the educational tour business since 1984, and has led tens of thousands of students and their teachers on learning adventures worldwide. World Expeditions is small by most tour company standards, and we like it that way. We only deal with a select group of schools and youth organizations each year which enables us to provide unsurpassed personalized service to everyone involved with our Expeditions. By staying small, we save money on overhead expenses. This allows us to spend more on travel components, and thus, provide top quality tours at low prices. I am assisted by Kim Jessop, who works in all aspects of the company from expedition planning to expedition directing. The World Expeditions team also consists of experienced world travelers who contribute their time and expertise in directing our Expeditions. School or group leaders that are hoping to join our family of satisfied travelers may contact us at any time.